Alex graduated from Charles Sturt University (CSU) in 2013. Alex is the proprietor of the business and more then anything loves to see pets and foster animals happy and healthy (and de-sexed!) back at home with their families. On the weekends you will usually find Alex has roped the rest of her family into renovating something at the clinic or working on her husbands business as well! Alex has a menagerie of pets, farm animals and kids at home and you might find one or two of them in at the clinic on any given day. Dr Georgia graduated from Charles Sturt University with honours in 2014. Dr Georgia is from Nabiac, North of Newcastle, but has spent the last decade making Wagga her home. 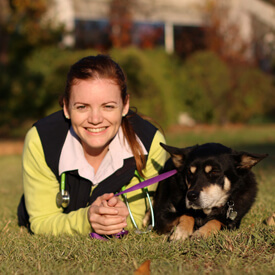 Loving a challenge, Dr Georgia has completed a Graduate Certificate in Small Animal Emergency and Critical Care. 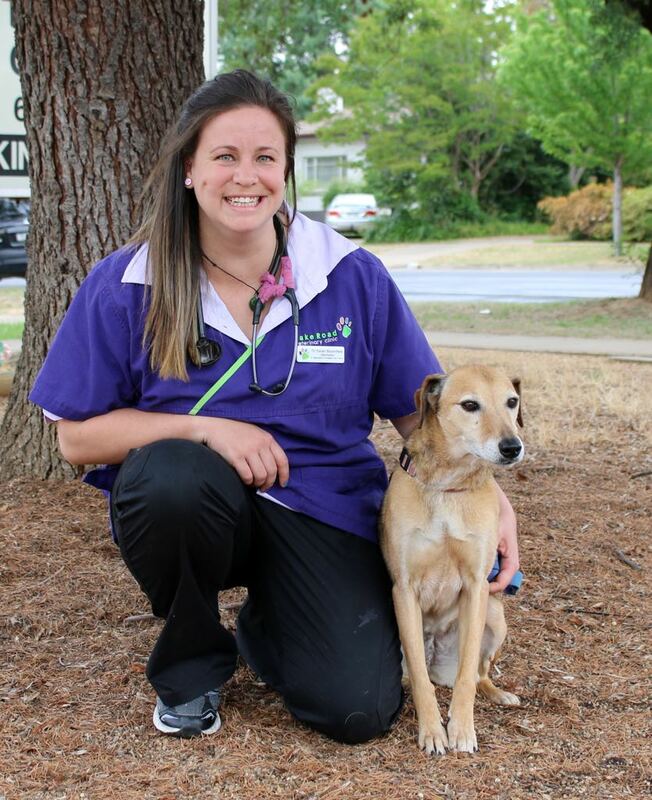 On her days off you’ll normally find Dr Georgia vetting for horse events as an endurance veterinarian, tending her beloved chickens or playing with her adopted pets (and Lake Road’s frequent blood donors), the mighty Gustav and Eeva, or best doggo, Sampson. Sonya is our longest standing Nurse/Admin and has the ability to jump into any role whenever we ask her. In her spare time Sonya is owns and manages one of the local restaurants and hangs out with her growing family, their two dogs, Lila and Zeus and their cats Axle & Kovu. 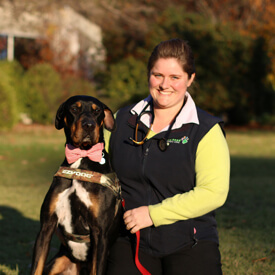 Dr. Sarah graduated from Veterinary Science and Veterinary Biology (Charles Sturt University) in 2018. 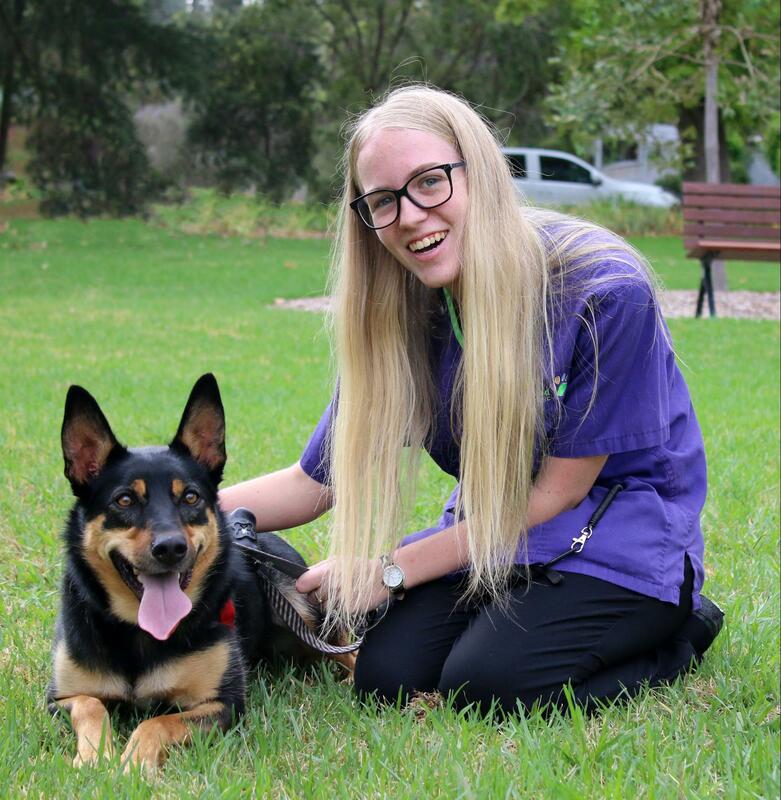 Dr Sarah previously completed a Bachelors Degree in Animal and Veterinary Bioscience from the University of Sydney in 2012. 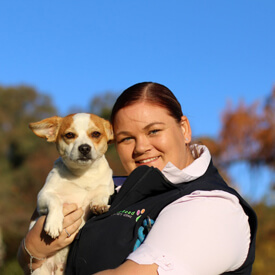 During her studies at university, she also completed a Certificate IV in Veterinary Nursing, cattle artificial insemination and cattle pregnancy testing, proving you can never have too much on your plate. 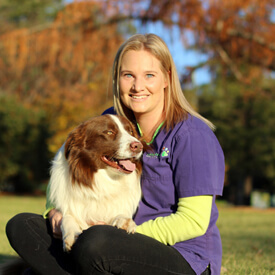 Dr Sarah has a strong interest in small animal surgery and looks forward to many opportunities in the future to further her skills and bring the absolute best back to the Lake Road Family. Dr Sarah also has a not so secret love of all things exotic medicine-snakes/birds/lizards. Dr Sarah has a small zoo at home with 6 dogs, 1 cat and 1 bird. 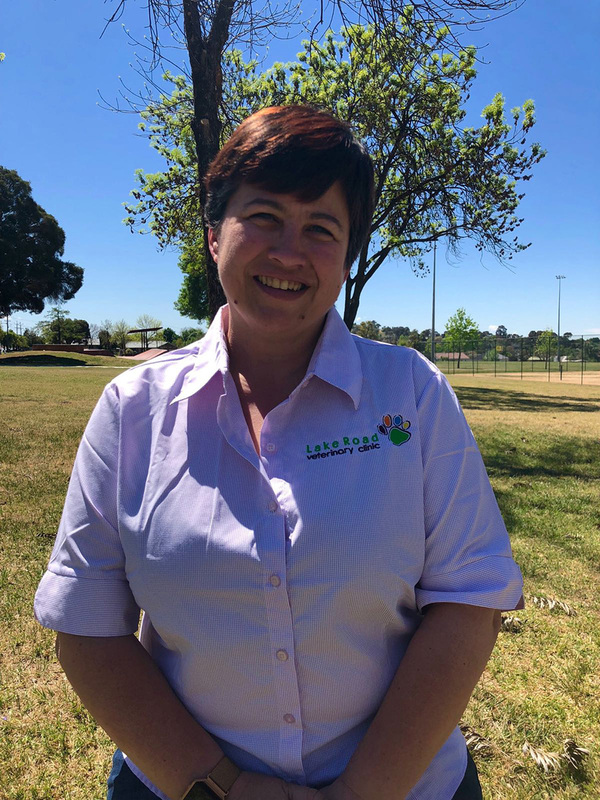 Dr Sarah is involved with the Wagga sporting community previously being on both the Wagga Hockey and Wagga Baseball boards. I grew up in the Northern Tablelands and always had animals. I completed a Bachelor of Veterinary Science/Bachelor of Veterinary Biology in July 2017 and have been working in mixed practice since then. I enjoy camping, crochet, reading and hiking. I have a GSD X Husky called Yuuri and two long haired cats called Chaos and Phantom. I have been to Africa twice and worked as a veterinarian over there with domestic animals and wildlife! Tammy is our Accounts Manager and part of our reception team. Although she can crack the whip when it comes to the bills at heart she is a bit of a softy and cares deeply about all the patients that pass through our doors. In her spare time she’s running around after her three boys (four if you include her husband). 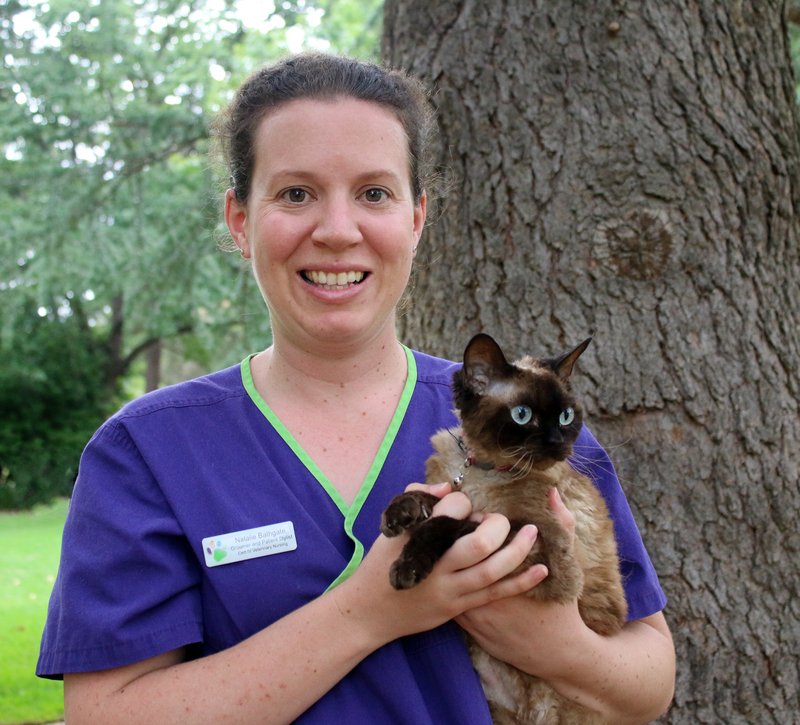 Shannen is another one of our vet nurses and is known in the team to put in the extra effort every day to make sure that the animals are well cared for and get a few extra sneaky pats and cuddles. 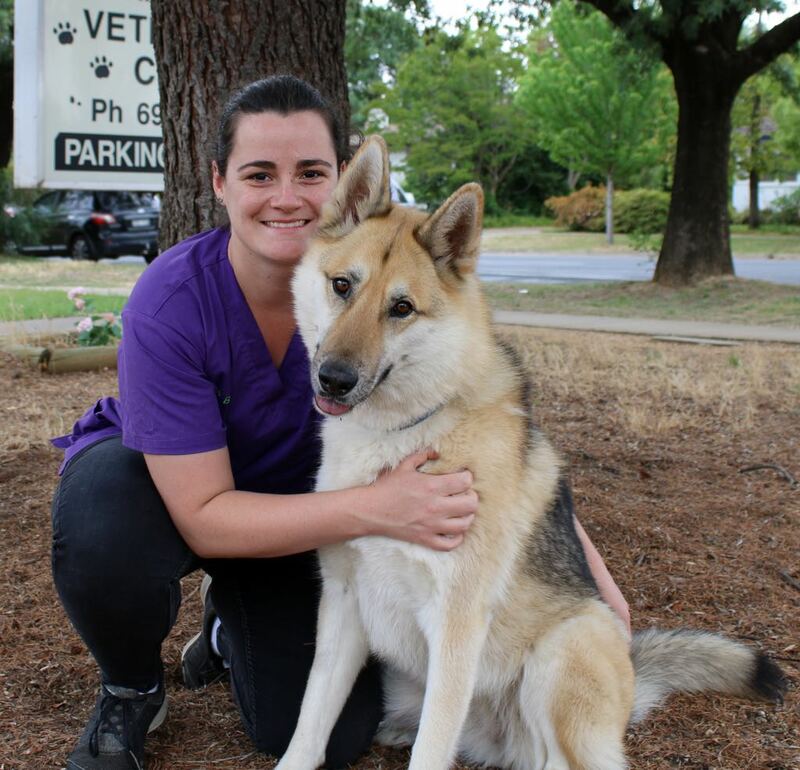 When not at the clinic she’s busy studying to complete her cert IV in veterinary nursing or hanging out with her partner Ricky and their own clan of fur-babies. 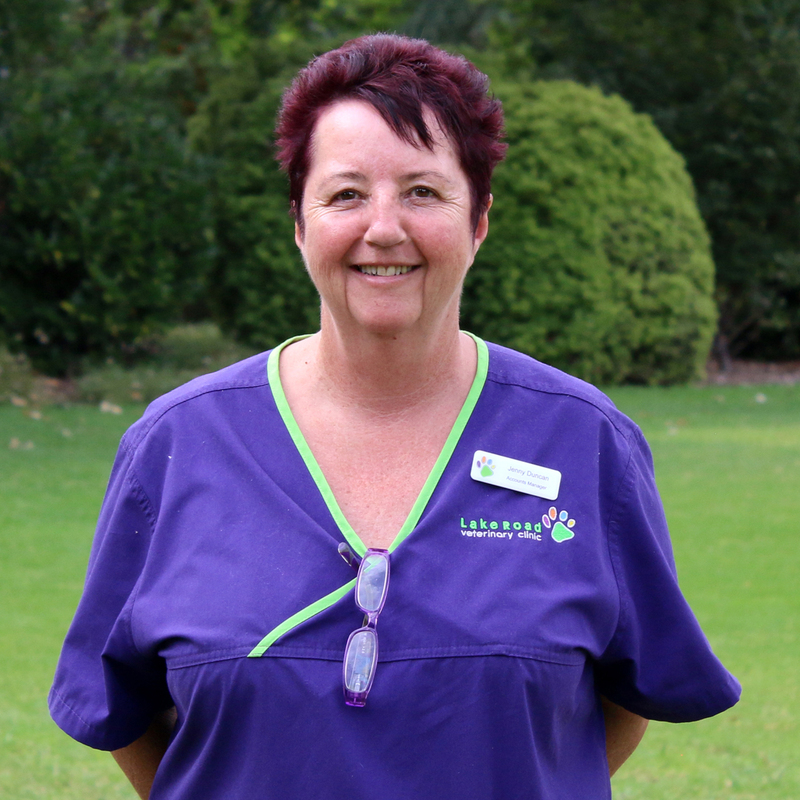 Priscilla has been nursing for many years and joined the Lake Road family midway through 2016. She sneaks in early each morning to make sure that everyone is going well in hospital and greats them all with a ‘Hello, my babies’. When she’s not pampering your pets or helping out with surgeries she has a whole tribe of adopted, misfit dogs (and her recently adopted chook Pepper) to love and care for. Karley is our Purchasing Officer and a member of our reception team. While making sure all your pets food orders are being process and that the clinic has all it needs to run smoothly. 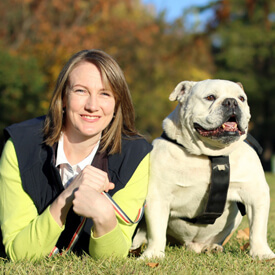 In her spare time she’s managing her husband, two kids and ‘Mort’ the bulldog that you might see on another of the website pages. Michealla is from the Central Coast and moved to Wagga Wagga to study at Charles Sturt University. She has a cheeky golden retriever called Benji and he is her favourite individual to hang out with. You will usually find Michealla helping the vets in consult or rearranging the shelves out the back in a bid to keep the clinic orderly. 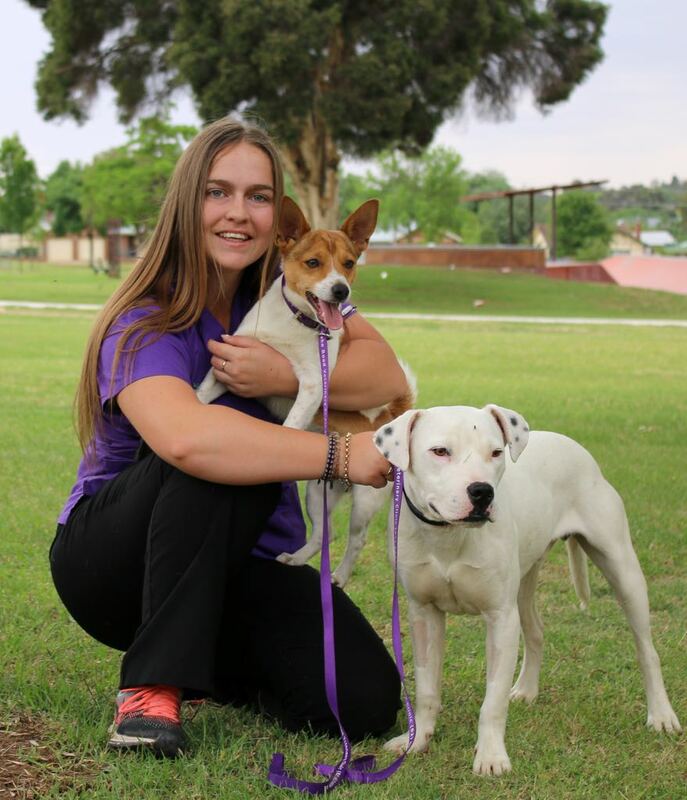 Micheala is also one of our puppy preschool trainers. 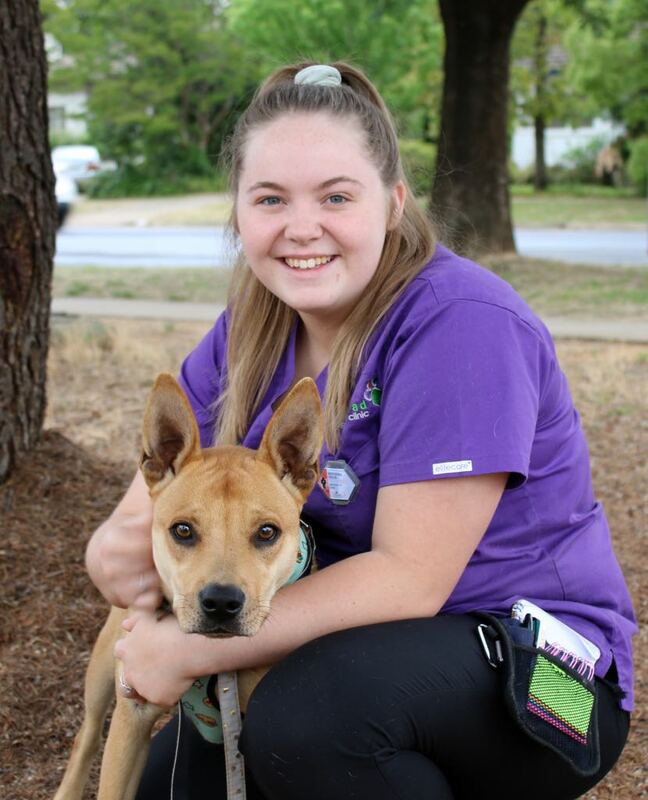 Shayne is currently studying Veterinary Science at CSU. She grew up in Northern Victoria, and was actively involved in her parent’s dairy farm. Before moving to Wagga, Shayne completed a Bachelor of Agriculture at Melbourne University. She is one of our puppy preschool instructors and is trying to initiate ‘kitty kindy’ as well. 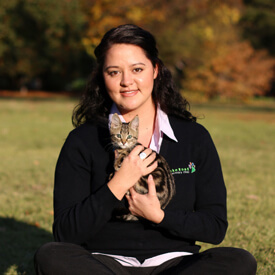 Mel grew up outside of Albury, developing a love for animals at a young age. 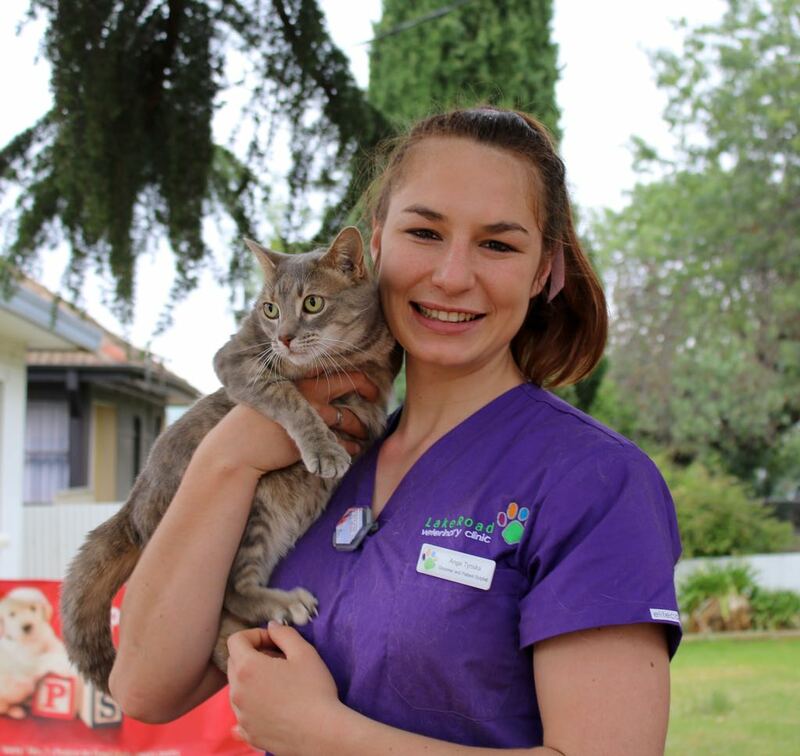 She studied Animal and Veterinary Bioscience at Sydney uni and also worked as a vet nurse, before exploring the world, living and working as a vet nurse in London and traveling through Europe. 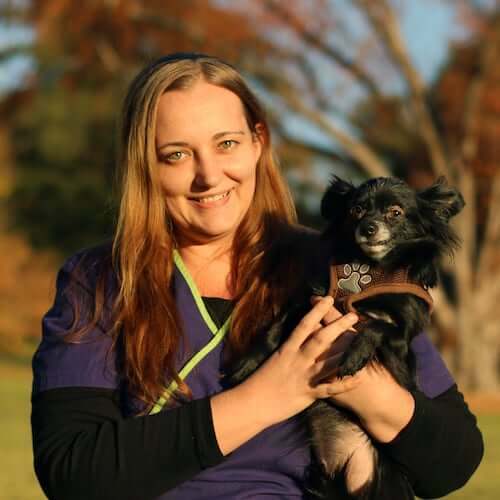 She is currently studying veterinary science at CSU and works at the clinic in her spare time as a nurse and puppy preschool trainer. 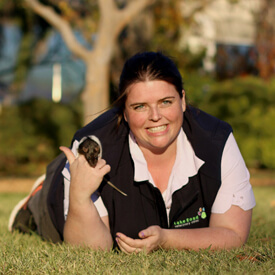 Mel loves all animals and has fun working with the wildlife and exotic pets that come into the clinic, as well as training her rescue cat Yoshi. I’ve been working in the veterinary industry since 2005. First as a veterinary nurse and then grooming. I’ve been grooming for 7 years. I am now a mum of 2 young boys. My hobbies before children were Softball, Trail Motorbike riding and fostering. I fostered and found homes for hundreds of puppies and dogs as a member of local rescue groups. I have one dog, Mea (Bullmastiff x Staghound), who is 12 years old and one cat, Indi (Devon Rex), who is 7 years old. I also have two sheep and two alpacas. I would love to add a Rhodesian Ridgeback to my family in the future. Originally from Canberra I have moved to Wagga for university. I am currently studying Equine Science as my main passion is horses. 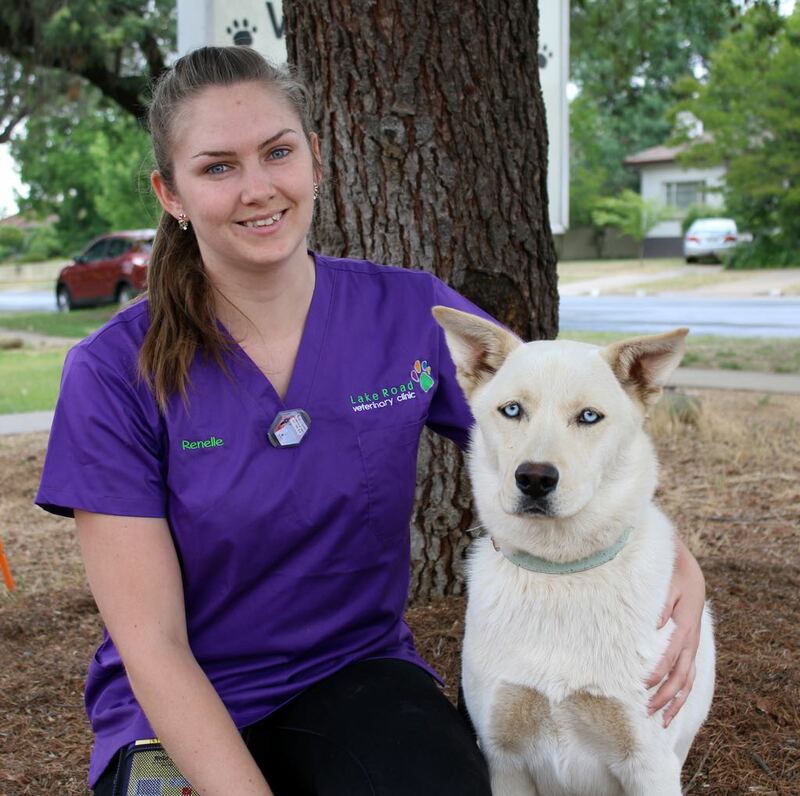 However I completed my Veterinary Nursing course in Canberra in 2016 and worked in a small animal hospital for two years. I absolutely love nursing. It is a very rewarding job and I am looking forward to expanding my knowledge in this industry. When I’m not studying or nursing i enjoy the company of my partner, Carl, who moved to Wagga with me as well as our crazy pet rabbit who thinks he rules the house. I studied cert II in animal studies throughout my HSC in 2016. After finishing school I was lucky enough to get a job at Lake Road as a part time kennel hand. I worked as a kennel hand for around 12 months looking after and making all the hospital and surgery patients as comfortable as possible. Then I happily accepted a traineeship in cert IV in Veterinary Nursing which I am currently undertaking and loving every minute. In my spare time, you’ll usually find me watching Netflix and hanging out with my beautiful rescue dog Bailey, who I adopted from the clinic early in 2017. I love coming to work everyday to help all the beautiful pets and learn so many new things. Hey my name’s Kyla, I’m from a farm out in Tarcutta. On my farm we have sheep, cattle, horses and crops. We have a lot of work dogs that are kelpies. 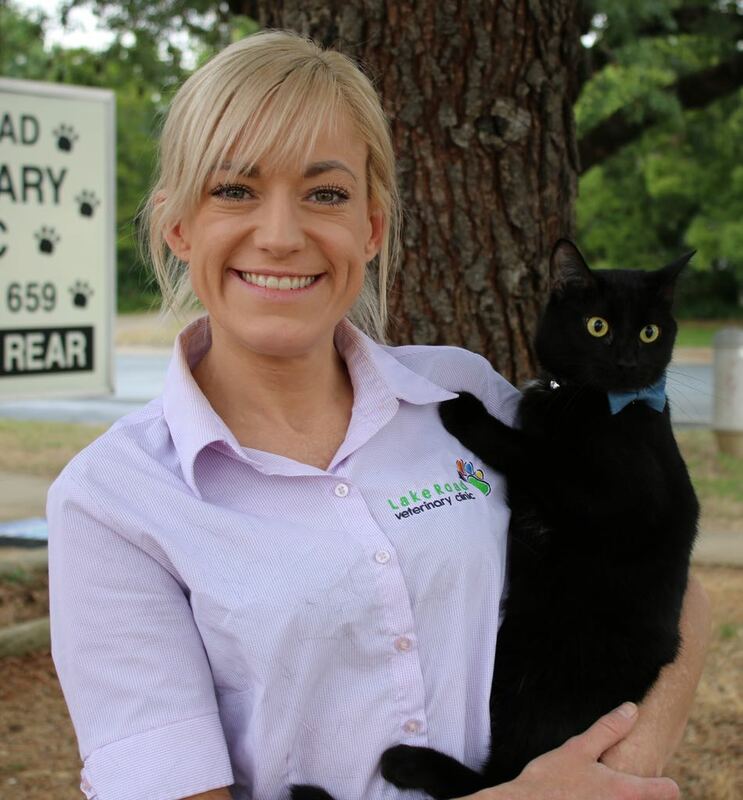 When I started my traineeship at Lake Road Veterinary Clinic I moved to Wagga with my partner. I have two pets, a dog and a horse. My dog’s name is Turbo and he is a jack russel x fox terrier. My horse’s name is Abby and she is a pure stockhorse that I do team penning on. I love coming to work and extending my ability to learn new and exiting things. I can’t wait to be a fully qualified nurse. I have spent most of my working life in banks starting as a machinist. I held lots of positions right up to Bank Manager. I have four beautiful children and two gorgeous grandchildren who are the joy of my life. I have a pet goldfish called Precious. He is very quiet. I have lived in Juree since I was 4 and love the country life. Our little town keeps me very busy. Originally from Wagga Wagga, spent the past 12 moths working in Alice Springs. 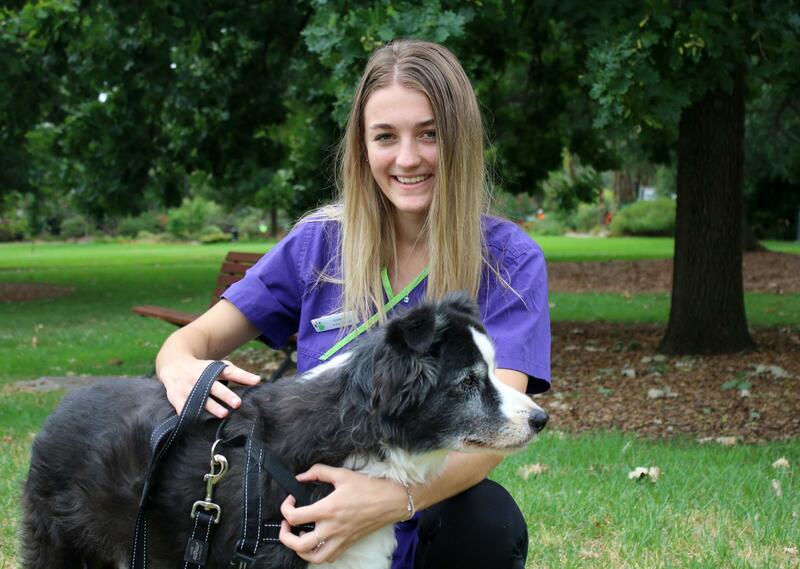 Studying Bachelor of veterinary technology at CSU. 3 animals at home, 2 dogs and 1 cat. 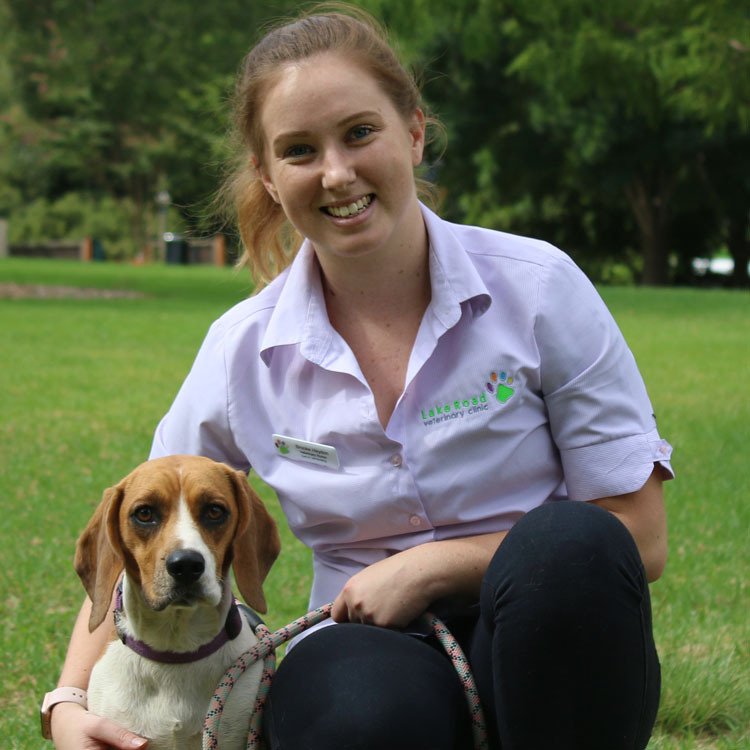 My name is Ange and I am a trainee veterinary nurse. I have two dogs which I adopted called Harley and Sally. I’m passionate about animals and fitness. My other hobbies include horse riding and bodybuilding. Growing up on a farm, going to university and being involved in WIRES has given me a broad knowledge base which I look forward to building on and making use of in my new role as a trainee nurse. In my spare time I do aerials, draw and play on my PS4. As well I spend time with my husky x labrador Knox. My name is Sharon. My husband is Andrew. I have 3 boys, 15 years, 13 years and 11 years of age. Currently I have 2 Spoodles, a girl called Bella and a boy called Curly, and a cat called Minx. I am from Canberra but moved to Junee in 2011 to be closer to family. I love to do card making and scrapbooking. Born and raised in Sydney with several years in Goulburn and also lived several months in Tehran. 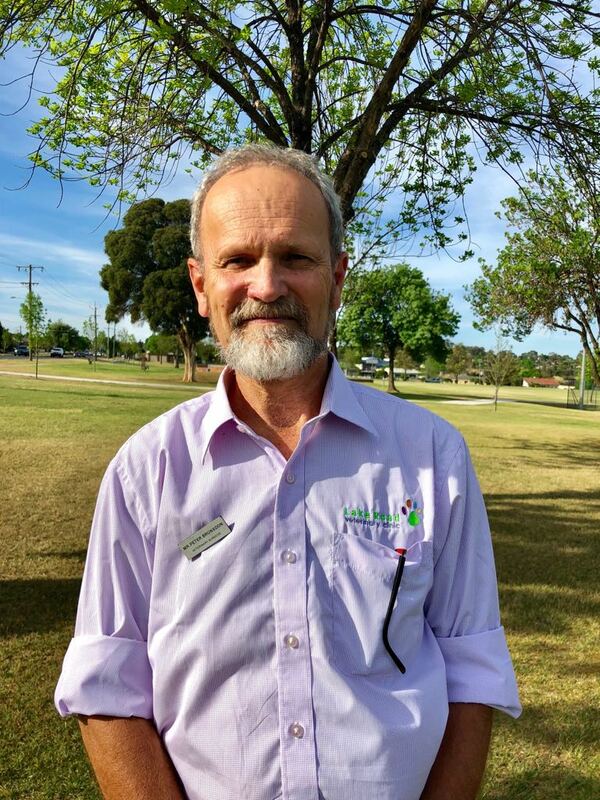 Graduated in 1983 from the University of Sydney and commenced worked at Leeton in 1984. 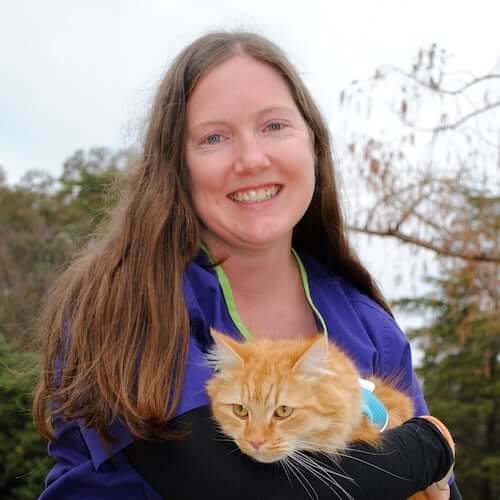 Moved to Queanbeyan in 1988 and worked for 7 years in a large mixed practice before taking over as owner ans sole vet At the Tumbarumba vet clinic where i stayed until the clinic was sold in july 2018. This was a mixed practice dealing mainly with small animals, beef cattle, sheep, horses but also lots of other species and many different situations. I am married to Regina and we have 3 children (Hannah, Simon and Clare). All now independent. I have been active in service clubs, hospital communities, chamber of commerce and the AVA. I like gardening, reading and lots of music. I have two border collies. 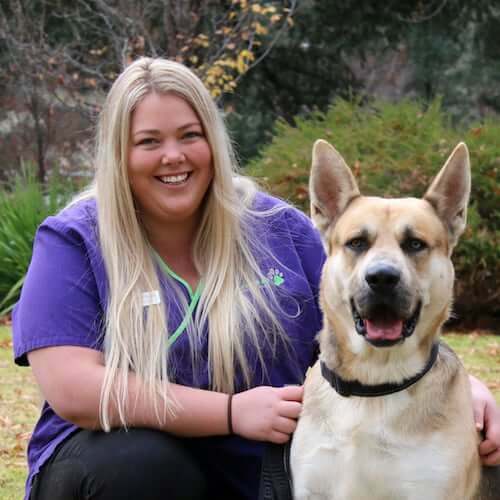 I’ve been working in the animal industry since I started in a salon in Canberra in 2013 where I learnt how to groom all sorts of beautiful pups, while I was studying my Certificate II in Animal Studies. In 2017 I started studying a Bachelor of Animal Studies at CSU. If i’m not studying or grooming I’m doting on my rescue pup Poco or hanging out with all my furry and feathered babies back at my home in Cootamundra. Entering into my 4th year of Animal Science and plan to complete the DELTA Dog Trainer Course after my degree. I have an Australian Kelpie called Poppy, my best bud, who loves our training sessions and adventures more than anything. If we have a conversation about behaviour/training it could go on for hours so be prepared! I lived on a farm until I was 18 meaning I grew up around animals forming my love for all species. I’ve got my Certificate II in Animal Studies. My hobbies include playing musical instruments, painting/drawing and horse riding. I have a border collie named Eddie, a horse named Slim Shady and a cat named Jax. 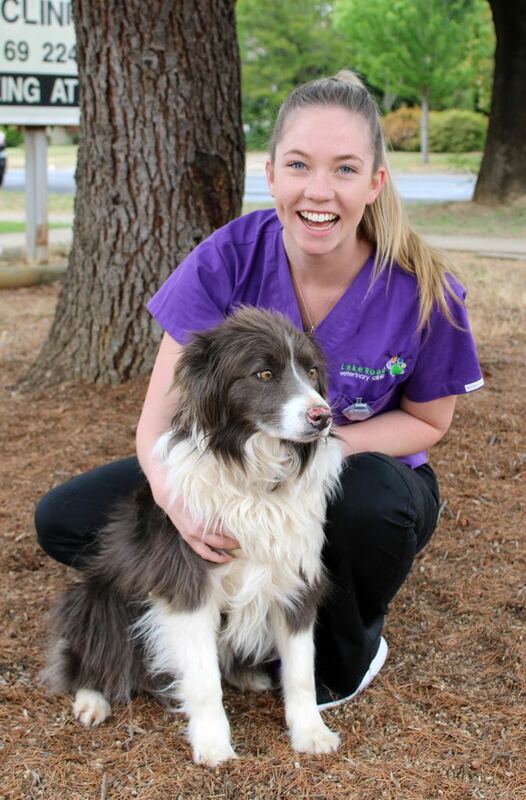 I love working at Lake Road Vet Clinic for the wonderful staff and many great experiences doing what I love. 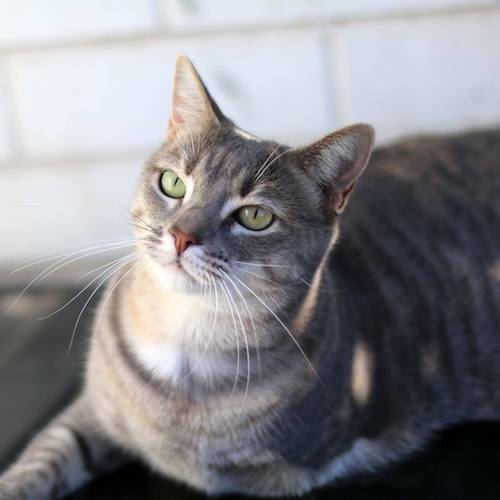 Helen is our clinic cat and if you don’t see her out and about around the clinic is mostly likely because she’s been naughty or has donated blood and is enjoying some pampering and rest out back. She likes to greet most people and their pets and on more then one occasion has entered into a vet’s consultation to see if they are providing appropriate service & care.